Deputy Speaker of the House of Representatives and Taguig 2nd District Congresswoman Pilar Juliana “Pia” S. Cayetano met the Filipino Community leaders in Madrid on 14 May 2017 during her recent visit to Spain. In the meeting (which was held at the Philippine Embassy), the Deputy Speaker emphasized the importance of the Filipino community in the dissemination of accurate information regarding the government´s policies, goals and projects. Congresswoman Cayetano encouraged the Filipinos in attendance to be part of the change and progress that the President wants to achieve for the country. She also hailed the courage and dedication of Filipino workers in the name of their families and their country. Ambassador Philippe J. Lhuillier, for his part, echoed the call of Congresswoman Cayetano and stressed that the involvement of Filipinos abroad in achieving the goals of the government is of critical importance. 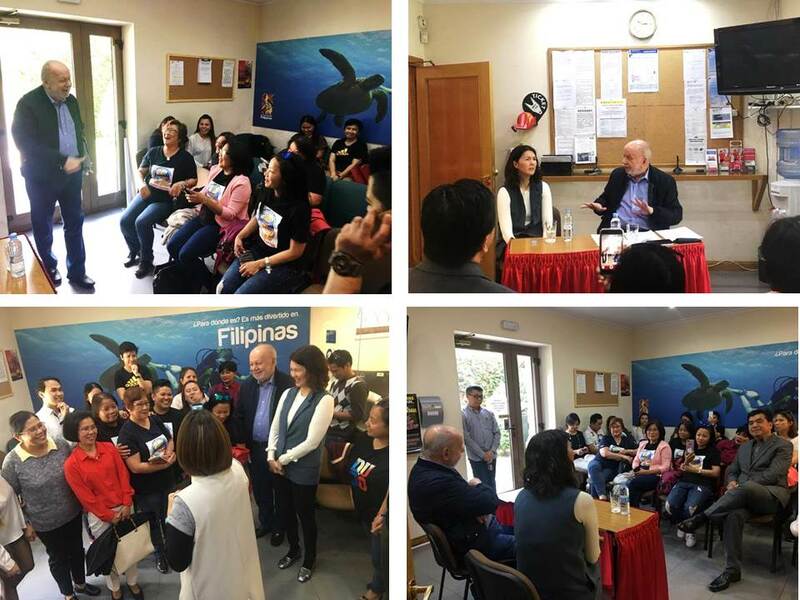 He also presented to the Filipino community what he plans to do as the country´s new Ambassador to Spain, and urged them to lend to the Embassy their usual support and cooperation. Finally, he stressed to them that one of the pillars of his leadership style as an Ambassador is to maintain an “open door” policy as far as OFWs are concerned. He emphasized that any Filipino who wants to see him for any concern whatsoever is free to call on him anytime. It was a policy that he immediately implemented by inviting the Filipinos in attendance for a merienda-cena at the Ambassador´s official residence after the meeting.